Daniel L. Spellman, a man of God became a member of Guiding Light Apostolic Church under the leadership of the late Bishop Winford Lamb. He served faithfully in the brotherhood choir, young adult choir, as a van driver, kitchen worker and Sunday school teacher. On February 11, 1994, he was ordained a Minister and he became an Elder on February 18, 2001. Through his teachings and faithfulness in following his former Pastor and father Bishop Aldie Spellman, God saw fit to make and mold Elder Daniel into a Pastor and this office became official for him on February 7, 2010. Elder Daniel L. Spellman prays that God sends in more souls and that with the help of the Lord, he will make a difference in the lives of the saints. 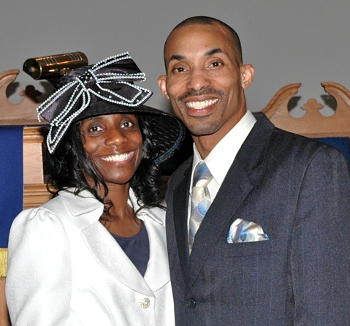 Elder Daniel L. Spellman has been blessed with a beautiful wife, Tonya Q. Spellman and 6 beautiful children, Daniel, Jr., Danielle, Darius, Taylor, Tamara and Tyler.